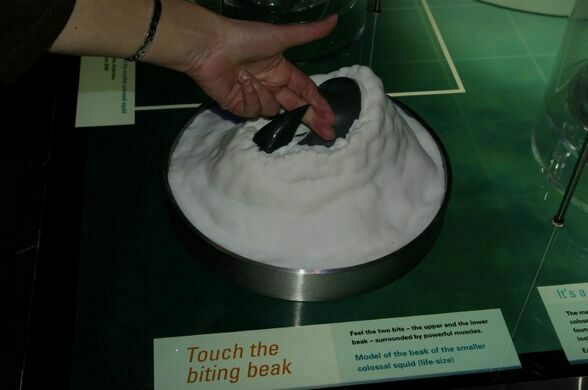 Te Papa is New Zealand’s national museum, and attempts to give an overview of the nation’s art, history, peoples, and wildlife. 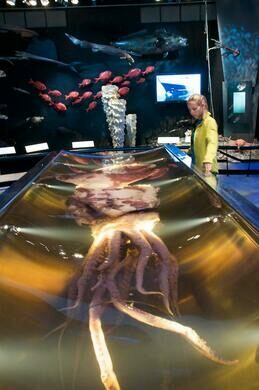 Among the wildlife that Te Papa currently displays is the world’s only preserved colossal squid specimen. 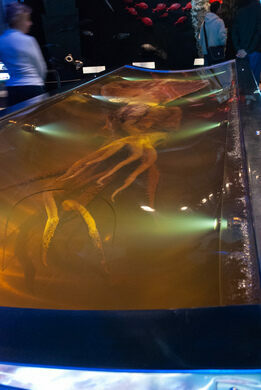 The San Aspiring, a New Zealand fishing boat, caught the colossal squid in February of 2007. The crew was fishing with baited hooks, and unexpectedly they caught a 500 kg colossal squid that was nibbling on an Antarctic toothfish. The squid was barely alive and close to death, so they brought it into the freezer of the ship as a specimen. 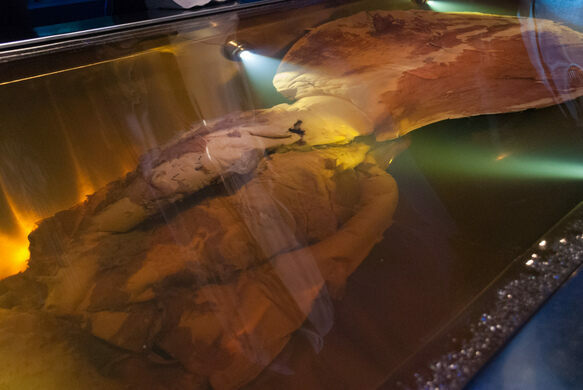 The colossal squid is now believed to be the largest squid species in the world. Larger and heavier than a giant squid, equipped with limbs covered in teeth and hooks, a gigantic razor sharp beak, and the largest eyes in the world (10 inches across, the size of soccer balls), the colossal squid goes to show that “sea monsters” may exist after all.